Here is a piece I did of my first daughter’s birth, I gave it to her on her seventh birthday. 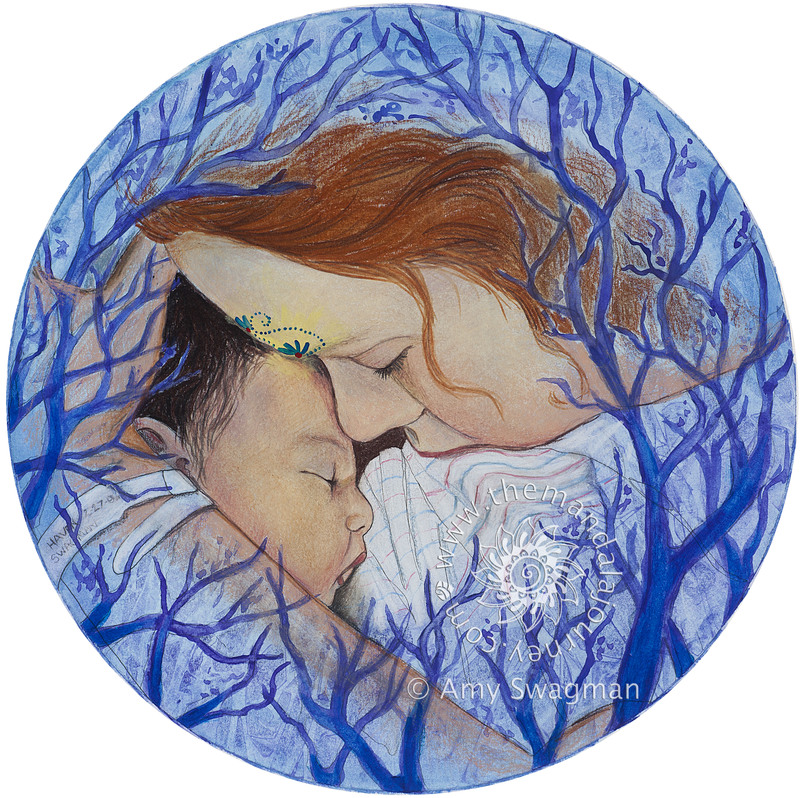 I wanted to do a piece that described how I felt when I became a mother. Haven’s pregnancy was unplanned and I spent so much of it terrified of birth, terrified that I wasn’t ready to be a mom, terrified that I would be terrible at this. Then Haven was born and she was so incredibly perfect, she shattered my world and my identity into a million pieces. Then she put me back together and I discovered love I couldn’t even imagine before, my intuition, my inspiration. I felt like I finally woke up. I am so deeply grateful for her and my other children for the many vast gifts they have given me.